Available on Redbubble and Society6. This entry was posted in Art! 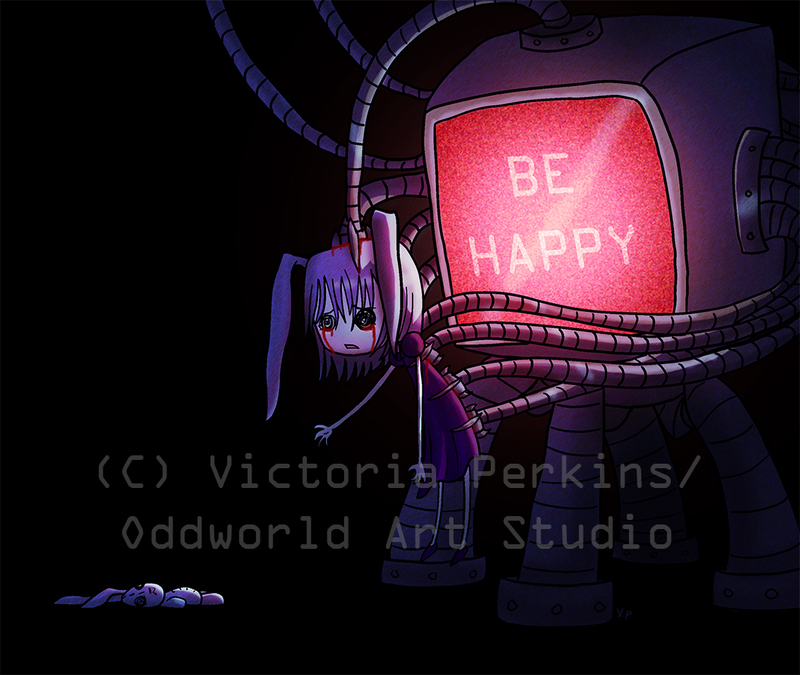 and tagged art, blood, bunny, cords, dark, girl, happiness, happy, odd, oddworld, rabbit, robot, sadness, sci-fi, television, toy, tv, victoria perkins. Bookmark the permalink.